So I don’t know if you guys have heard of this little book called Eyre House? Well guess what! Its out in just over 3 weeks! 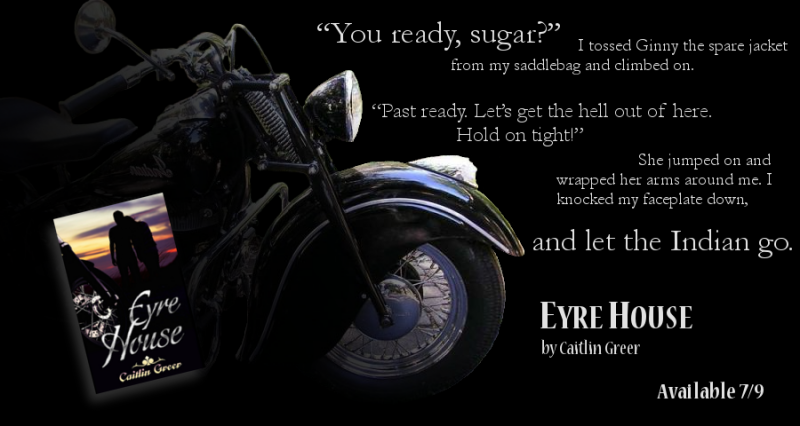 Let me tell you, this book has it all – romance, suspense, hot guys, and a really cool motorcycle. You’re going to want to pick up a copy as soon as you can! So in honor of the imminent release, Cait Greer, the author, was kind enough to share a teaser with me, and I’m so excited to now share it with you!